Offshore oil services firm Subsea 7 has made an unsolicited offer worth about $2 billion for U.S. rival McDermott, potentially breaking up the U.S. company's agreed deal with onshore engineering firm Chicago Bridge & Iron (CB&I). Subsea 7 has offered McDermott $7 per share, either in cash or up to 50 percent in stock, representing a premium of 16 percent over McDermott's closing share price on Friday of $6.05. Subsea said McDermott's board had rejected its proposal on April 20 but also said it could raise its offer if the U.S. company agreed to talks. McDermott said in a separate statement its board had concluded that Subsea 7's proposal "significantly undervalued" the company and was not an attractive alternative to the proposed combination with CB&I. McDermott's shares were up by around 13.2 percent, while CB&I shares were down around 12 percent by 1555 GMT. 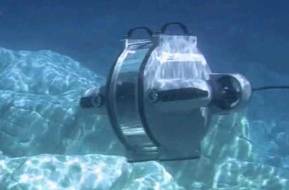 Subsea 7 shares closed up 0.8 percent. Shareholders of McDermott and CB&I are set to vote on May 2 on whether to approve McDermott's offer for CB&I. Subsea 7 said its bid proposal was subject to the termination of McDermott's deal with CB&I. Some of McDermott's shareholders, however, have opposed the deal, citing CB&I's latest performance. BlackRock Inc, the world's largest asset manager, is the top shareholder in McDermott with a 12 percent stake. 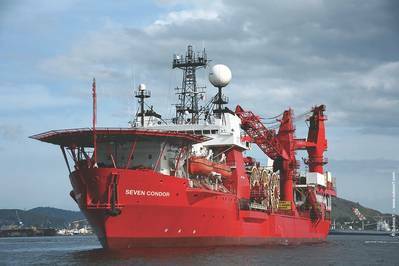 "It's a very well played offer from Subsea 7. Timing wise, it gives enough time for McDermott management to consider alternatives before the May 2 vote," Carnegie analyst Frederik Lunde said. Subsea 7's biggest shareholder and chairman, Norwegian billionaire Kristian Siem, has long called for the industry to consolidate as a means to cope with cost-cutting by oil companies. Siem said on Monday the company had decided to make the offer for McDermott after some of the U.S. company's shareholders and one board member voiced opposition to the proposal to buy CB&I. Cahuzac said on Monday the company could revise its offer if McDermott's board decides to start talks and provides more information about its business. Subsea 7 said combining the two companies would help them to handle large offshore engineering contracts for the oil industry, known as EPCI projects, with Subsea 7's strengths in Brazil, the Gulf of Mexico and the North Sea complementing McDermott's strengths in the Middle East, India and Australia. "Geographically speaking, Subsea 7 and McDermott are a perfect match," Rystad Energy's Audun Martinsen said. "The train is about to leave the station. McDermott is the only acquisition target that could make Subsea 7 the market leader in the SURF (subsea umbilicals, risers and flowlines) sector," Martinsen said.